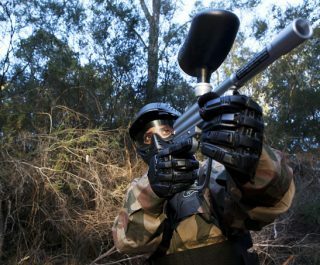 The Delta Force South Manchester paintballing centre is located just off of the M6 near Holmes Chapel. 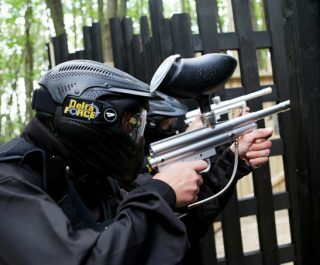 The centre is ideally located for visitors from Cheshire and the surrounding Manchester area such as Congleton, Stockport, Oldham, Bolton, Warrington and Salford. 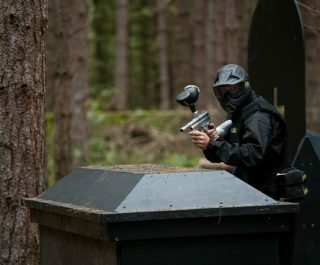 Frequently used by Premier League football teams such as Manchester United and Manchester City, the South Manchester paintball centre has built its reputation for being one of the best UK paintball centres when it comes to quality of service and the potential for unforgettable adrenaline-fuelled action. 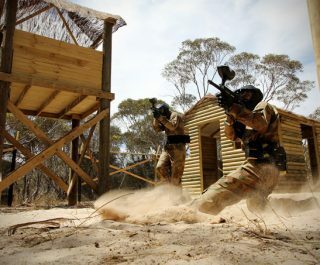 In addition to the action-packed paintball game zones and huge props, the expansive base camp is also just as spectacular. 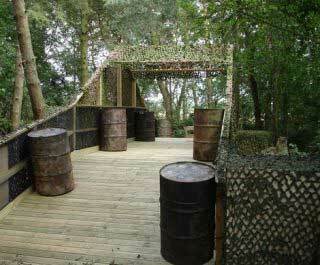 Featuring many focal points for team photos, the highlight would have to be the genuine WWII Bofors Anti-Aircraft Gun. 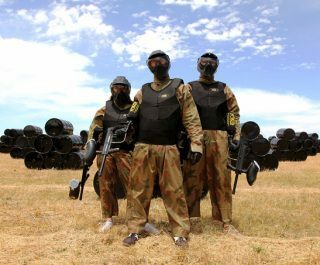 Book the South Manchester paintballing centre now by visiting the paintbaling booking page or calling our events team 24 hours a day, 7 days a week on 0203 869 9301.